Moorlands offers Full, D.I.Y. and School livery. 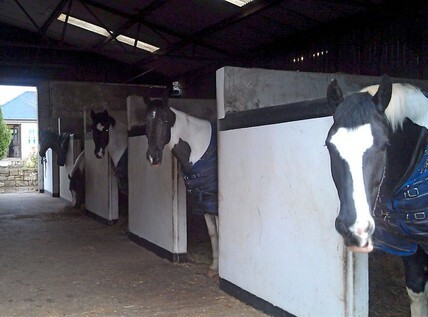 Full Livery - includes stable, mucking out, bedding, roughage, hard feed and grooming. Use of arenas, all-weather trek, horse walker and turn out paddock. €100 per week. Schooling extra. 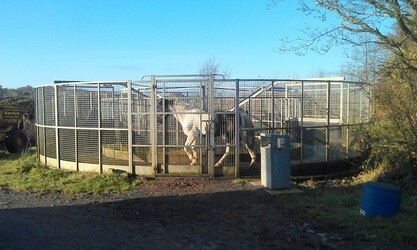 D.I.Y livery - includes stable, roughage, use of facilities and turn out paddock €60 per week. Schooling extra. School livery - only for suitable horses. As for full livery but Moorlands has use of horse/pony in the riding school €50/ week. Facilities: Spacious American-barn style stabling with automatic drinkers, Indoor arena , outdoor arena with flood lights, horse-walker, 2km all-weather trek, large car-park. 20% Discount On Lessons for Livery Owners! Yes you read it right! Livery owners receive a 20% discount on lessons. 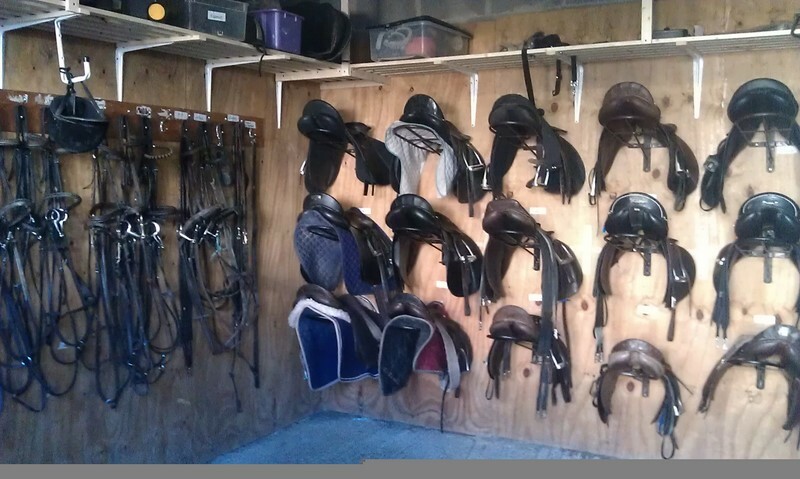 Private livery owners tack room & cross country course. Our recently installed horse walker has proven invaluable when exercising or training. It allows us to work 4 horses at a time and is available for use by livery owners. 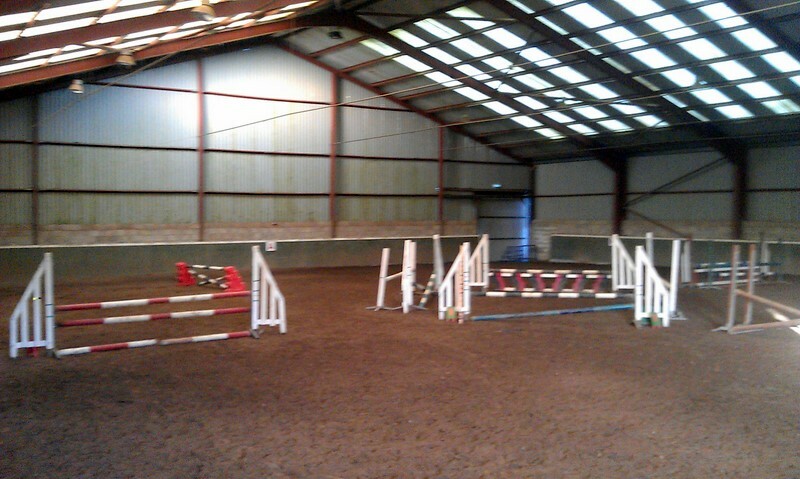 Indoor arena: 35m x 40m .